Monte Carlo Weekly Photo: Spring already? 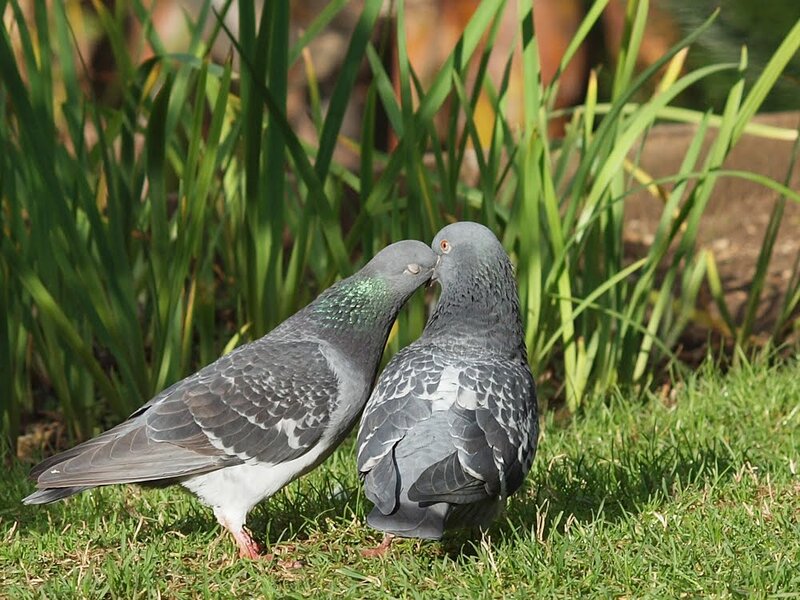 These two think it's Spring with much wooing going on...but what's he doing with his head inside her beak? Did YOU feel like a peeping-tom? I reckon that is the way to have a fella! 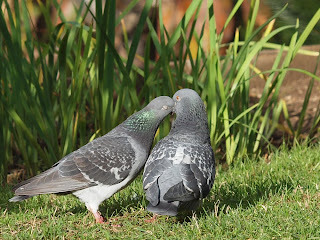 I hope that their behavior is not a prelude to more pigeons being born. 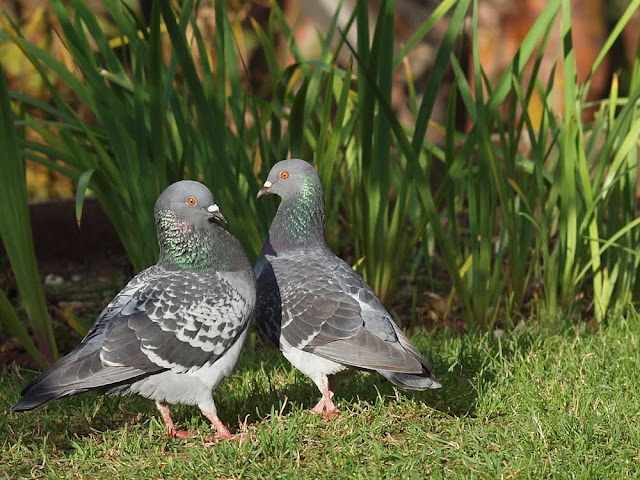 I wonder if they are they French pigeons, or on holiday from London? At least they have bought the sun with them! How do you know it's not the other way round....hers in his. Oh well, don't tell me. I wonder if it's a young still feeding off its mother. Sometimes baby birds are almost larger than their parents! A very nice clean shot. What wonderful photo's nice capture on film and love your comment. The artist in you caught the sublime on film where others would have barely noticed and walked on by. These made me smile, what a treat.